John (Jock) McNaughton was born in Scotland, but emigrated to Australia in 1912. he was one of the first to enlist in the Australian Army after the start of World War 1. He landed at Anzac Cove in Gallipoli on the first day (April 25, 1915) of that disastrous campaign and was wounded. He later served on the Western Front and was seriously wounded twice. But he found time during his time recuperating from wounds in Aberdeen to marry Annie and conceive Ron, survived the war, and returned to Australia. A small hand-made set of dominoes came home with him, and we understand that he made them sometime during the war. 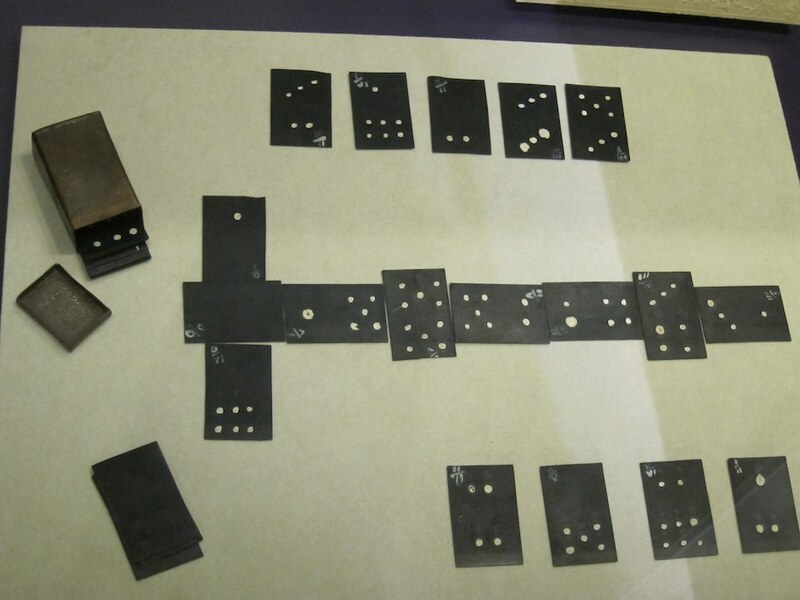 The box is metal but the dominoes themselves are made of celluloid, and it is thought that this material may have been used in ammunition containers transported to the front lines. Each domino has small indentations, painted with white paint, to make the number on the domino, plus a small notation in the corner noting the numbers on it. 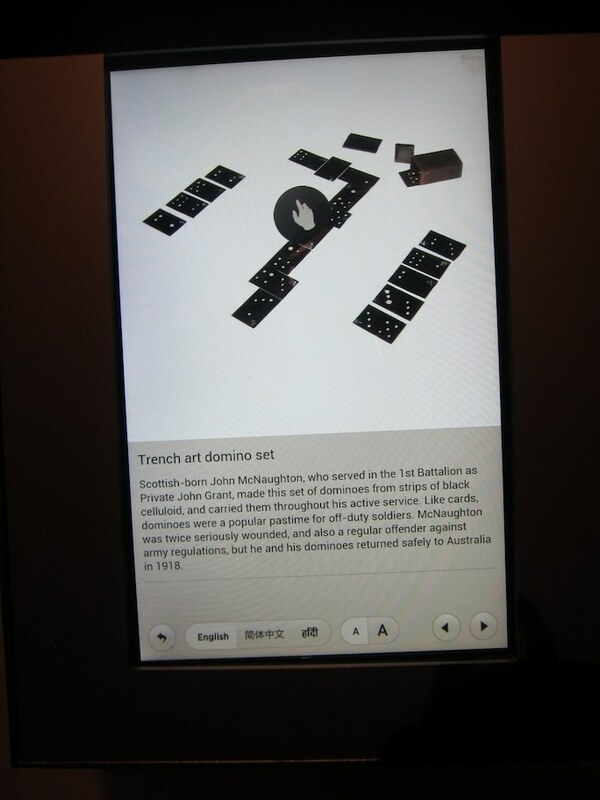 The domino set was donated to the Australian War Museum in Canberra some years ago, and was included in the 2015 World War 1 exhibit. 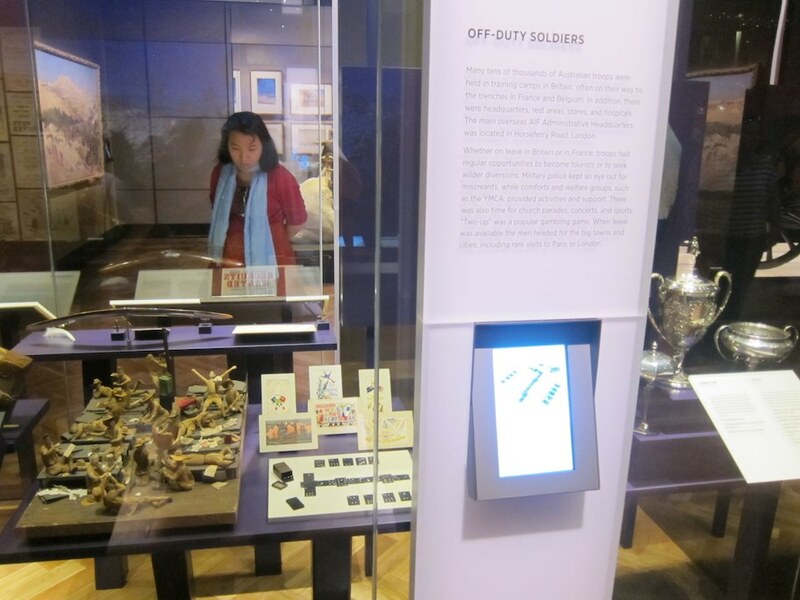 These photos show the exhibit (it is included with other artefacts relating to soldiers off-duty) and the interactive screen which explains the relevance and history of the dominoes. Interactive display showing the story of the dominoes.